Lloyds Register Foundry Works Approval – What does it mean? What does this actually mean? It means that a representative from Lloyds Register who is intimately understands foundries and how they work has inspected and audited all sides of a foundry business. This person is happy that what the foundry is doing to produce castings is in line with procedures that they feel will produce castings to a dependable level. To be approved indicates that they are happy to put the Lloyds name against the product produced. Without inspecting every casting produced and procedure involved this isn’t a blanket approval but the high standards set mean that the general practice employed to make castings in the foundry is consistent and of a high level. 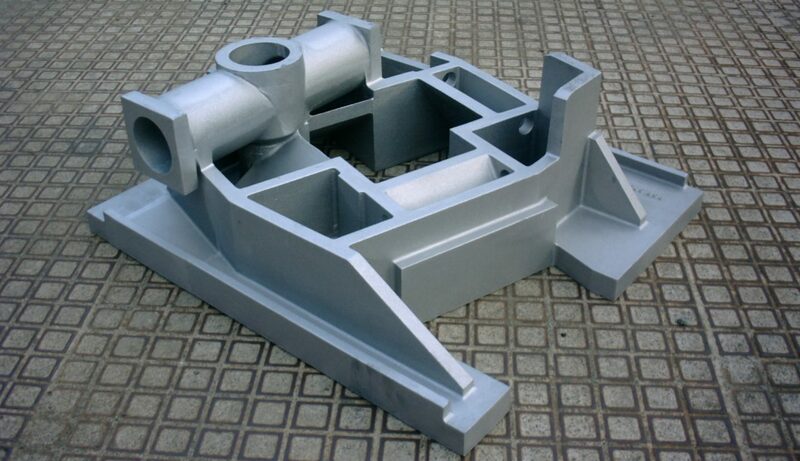 Castings can be inspected on a castings by casting basis by a Lloyds inspector and this is known as 3.2 inspection and can be undertaken if necessary to give complete peace of mind or if a specific requirement is stipulate by a customer. The approved status for a foundry is not only a vindication of the skills and competence of the foundry but a useful gauge when looked at by prospective customers. They can be assured that to achieve and maintain this status the company is a partner they can trust to deliver a good product to a dependable level. A vital indication from day one that the foundry has a high level of skill. Draycast achieved this approval for the production of bronze castings in 2010 and has held it ever since following several reviews over this time. Its something we are proud to hold and continue to maintain and has proved useful in securing new work from our customers. We have since gone on to add Bureau Veritas approval which again illustrates our commitment to quality. Copies of our certificates are available to view on our website at the Lloyds Register Foundry Approval page of the Draycast website www.draycast.co.uk. ISO 9001:2015 – Draycast Approved! We are pleased to announce successful inspection of our quality systems and we have been approved to the (new) ISO 9001:2015. Congratulations to all those who worked on updating our procedures to the requirements of the new standard and we are now equipped to continue supplying our customers with quality systems that they require. This approval adds to our current Lloyds Register Foundry Approval and Bureau Veritas Approval for the production of Bronze castings in our foundry in Chesham UK. As soon as we receive the certificate we will post on the appropriate section of our site so it can be viewed by all. For further information on this post or any other requirements please contact info@draycast.co.uk or call +44 1494 786077.